2019 highlights the 100th anniversary of the famous Bauhaus school that gave birth to the art movement of the same name. 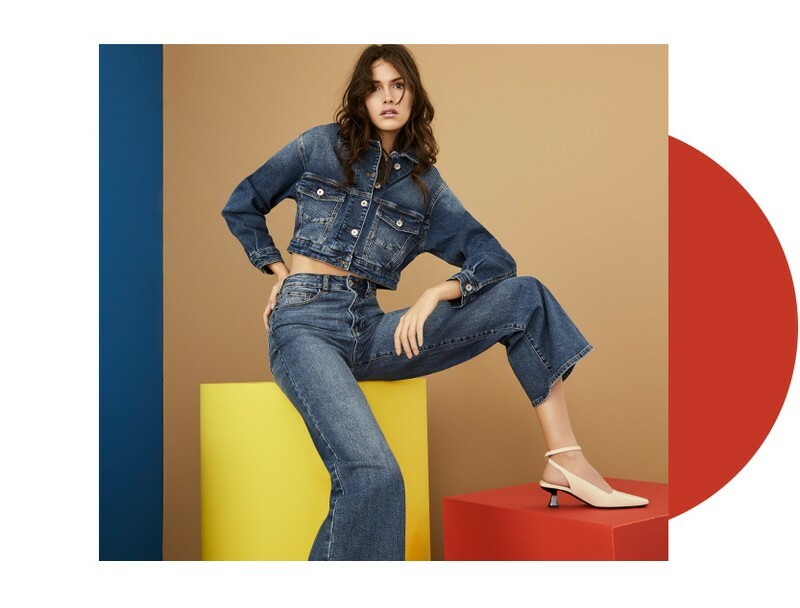 This spring, fashion is celebrating the important creative contribution of this German institution by displaying vivid colours and studied graphic elements that create the perfect balance between aesthetics and functionality. It was at the end of World War I, on April 12, 1919, that the Staaliches Bauhaus zu Weimar was created. Founded by architect Walter Gropius, who became the Bauhaus’ first official director, the institution combined the Weimar School of Arts and Crafts and the Weimar Academy of Fine Arts. The establishment was moved to Dessau and then Berlin before being closed by the Nazis in 1933. From this vision emerged a genuine desire for innovation and a willingness to see specialists from different disciplines working with a sense of community and unity. The student apprentices were able to develop skills in several fields at the same time, such as graphic design, pottery, furniture design, metalworking, sculpture, painting, and more. 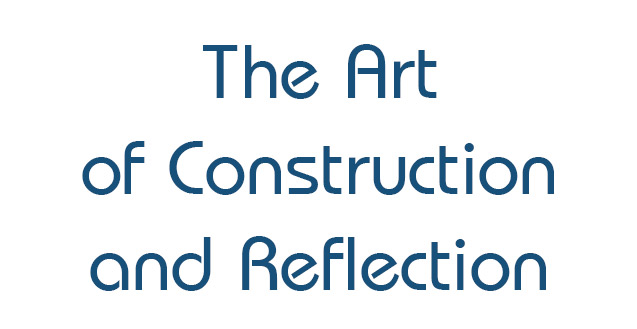 This teaching format allowed the school to see leading figures in architecture, art, and design like Ludwig Mies van der Rohe, Marcel Breuer, Vassilly Kandinsky, Paul Klee, and many others, parade through its halls and act as both artists and craftsmen. 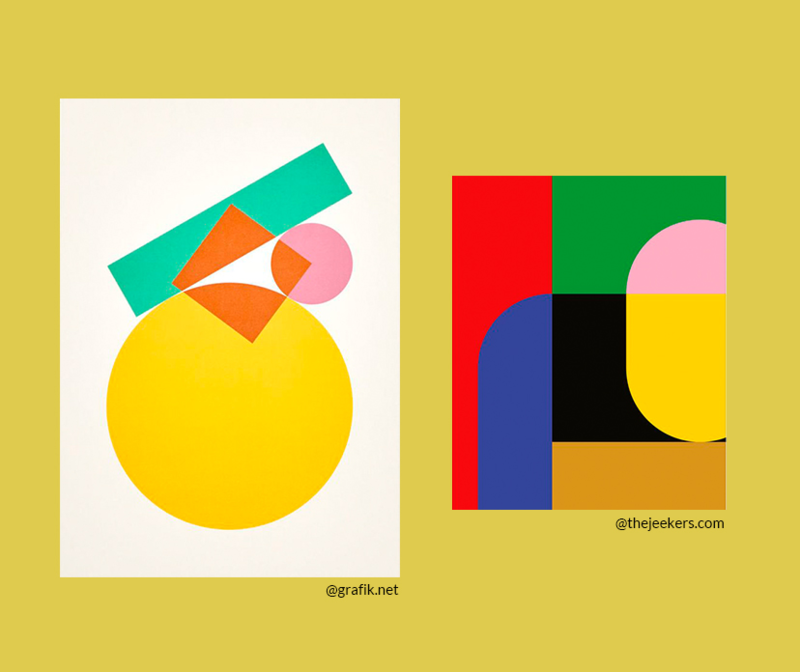 In terms of aesthetics, they avoided superficial ornamentation and focused on pure and simple geometric shapes. Each detail was thought out, studied, and had to have a reason for being included. Over the years, the Bauhaus also opened itself up to mass manufacturing in order to make art, objects, and functional design accessible to a greater number of people in their everyday lives. 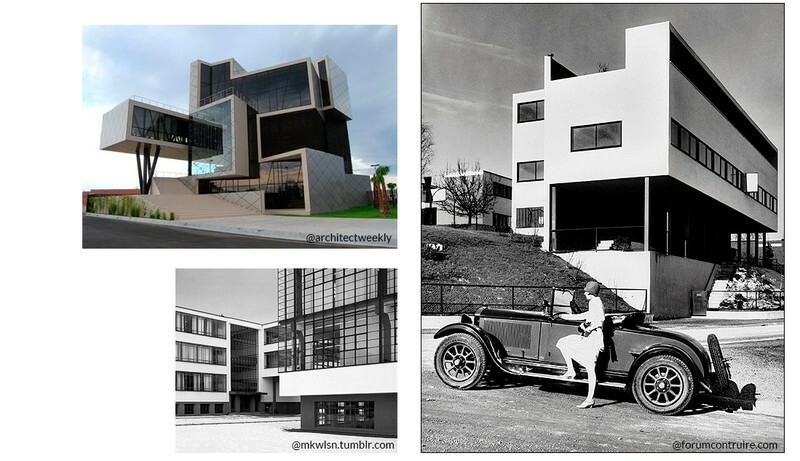 In architecture, the international style that developed between the 1920s and the late 1980s greatly reflected the vision of the Bauhaus with its stripped and smooth-surfaced buildings that combined steel, concrete, and glass in a look that total broke with the past. So, one hundred years later, how is the Bauhaus movement influencing the trends? For spring, we’re seeing a palette of bold, saturated shades in which yellows, blues, reds, and greens shine bright. These hues appear on solid-colour pieces that we courageously combine together, but that can also be worked in colour blocks, appliqués, and collage-style prints. 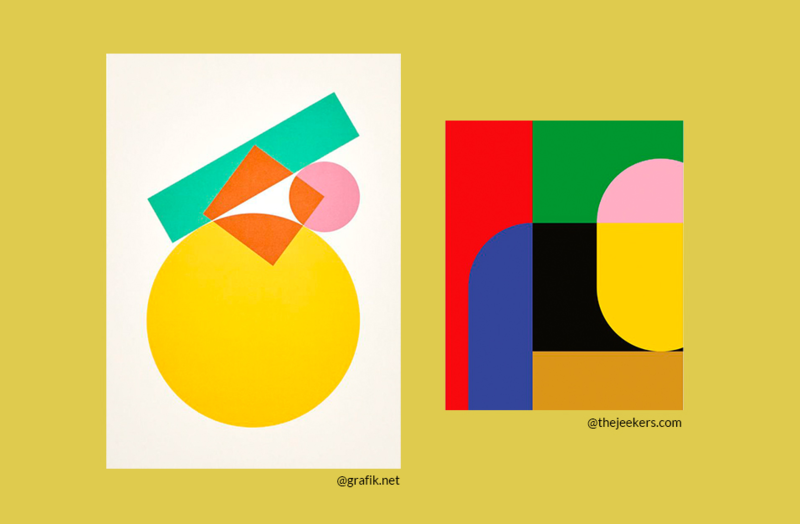 We also sometimes find them in logos, illustrations, and typography that remind us of the art of graphic design. In addition, the clothing has a certain simplicity to it when comes to the cut and the shape, reflecting a more architectural feel. No superfluous details here—we see the Bauhaus’ legacy in these clean, modern looks where each element is studied and perfectly mastered. Get ready! 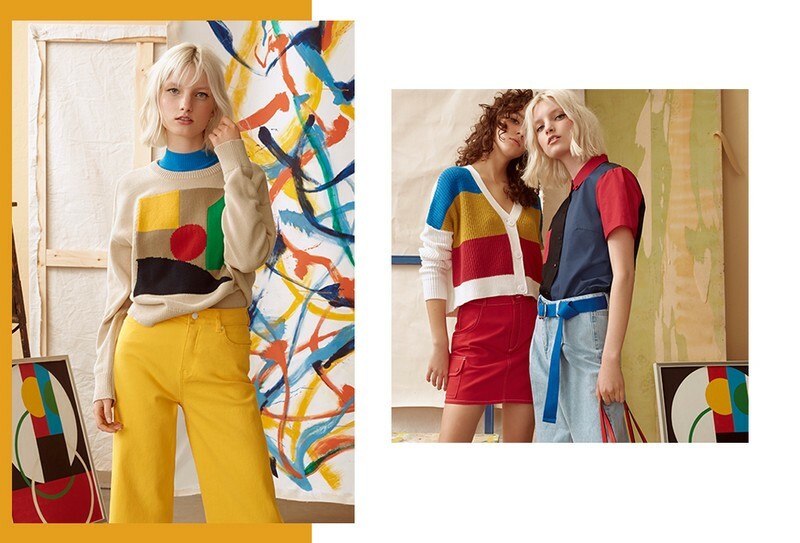 Spring 2019 is setting itself up to be an inspiring season with art and fashion combining in one dreamy cocktail of colour and creativity that will make you want to celebrate the Bauhaus’ 100th anniversary in style!